Self-taught player here with very rudimentary knowledge of theory so please go easy on me! The notes highlighted in yellow are confusing me a bit, as they are the same note, but one is a minim and the other a crochet. I feel like I should be playing the minim and hold it while I play the the next notes. Is this correct? 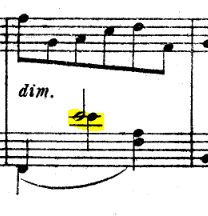 If yes, why is that same note written twice on the bass clef, as two seperate notes (a minim and a crochet)? Yes you are correct. You hold the E (actually I'm guessing that's an E flat) and then play the next notes. Why? Because there are multiple parts in the bass clef. One of them goes low F crotchet followed by high E flat minim. The other goes low F crotchet, high E flat crotchet and then the F and A crotchet together. That also explains why there are two stems on that first bottom F.